I went to the rainforest, five hours by bus, just over a half hour by truck and about five minutes to hike into the rainforest cabins that would be the home to a group of us participating in G Adventures Local Living Ecuador for the week. Heading southeast from Quito, we drove through the mountains, up and down, back and forth, through switchbacks that could easily have made anyone nauseous. When we arrived in Tena we were dismayed to have get on a truck, but the open air was a relief to the crowded bus. And soon we were surrounded by the lush rainforest, and then we were there. 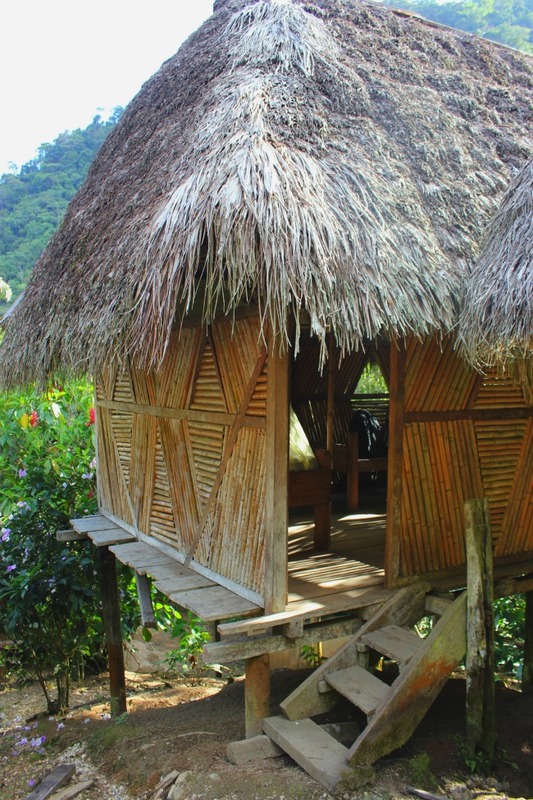 Our host Delfin welcomed us to the cabins, built by him and his family – simple open-air cabins, with grass roofs, bamboo and wood beds with mosquito nets and a couple of hooks and a shelf. Luxury living – absolutely not – but living like the locals – definitely. This was our challenge for the next few days – to live similar to the locals – exploring their world, eating like they do and dealing with being wet, wearing rubber boots, using cold water to bathe and being up with the sun. We hiked, we sweated, we got soaking wet – we got mosquito bites, ate well, drank a lot, laughed, sang and told stories. With scarce amounts of electricity, we didn’t have internet, electric lights or television to keep us occupied. Some of us got sick, some of us survived, and we all had an unforgettable experience. This week, I’ll tell you how, what, when, where, and maybe figure out why.